FUEL EFFICIENT 28 MPG Hwy/20 MPG City! Prestige trim. 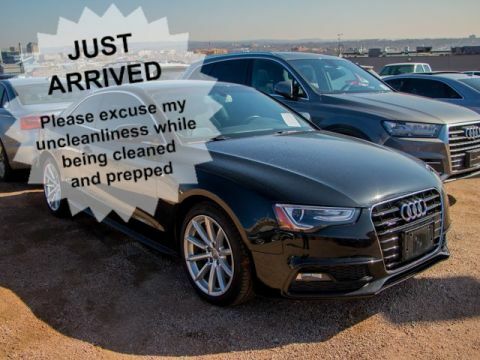 Superb Condition, CARFAX 1-Owner, LOW MILES - 7,791! NAV, Sunroof, Heated Leather Seats, Panoramic Roof, Alloy Wheels, All Wheel Drive, Non-Smoker vehicle, New Tires. SEE MORE!KEY FEATURES INCLUDELeather Seats, Navigation, Sunroof, Panoramic Roof, All Wheel Drive. Rear Spoiler, MP3 Player, Privacy Glass, Keyless Entry, Child Safety Locks. 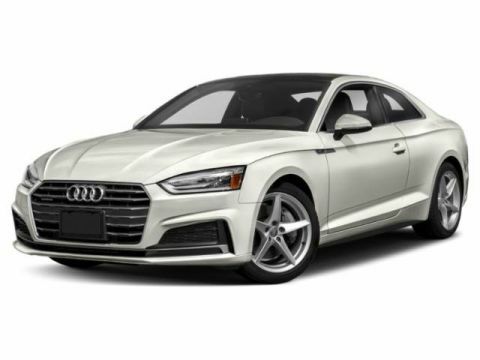 Audi Prestige with Mythos Black Metallic exterior and Black interior features a 4 Cylinder Engine with 200 HP at 5100 RPM*. 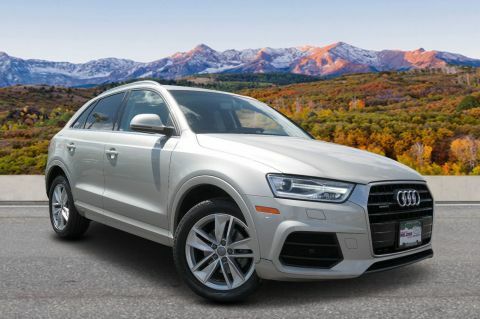 Non-Smoker vehicle, New Tires.EXPERTS RAVEEdmunds.com explains You'll like the 2017 Audi Q3's ride quality. 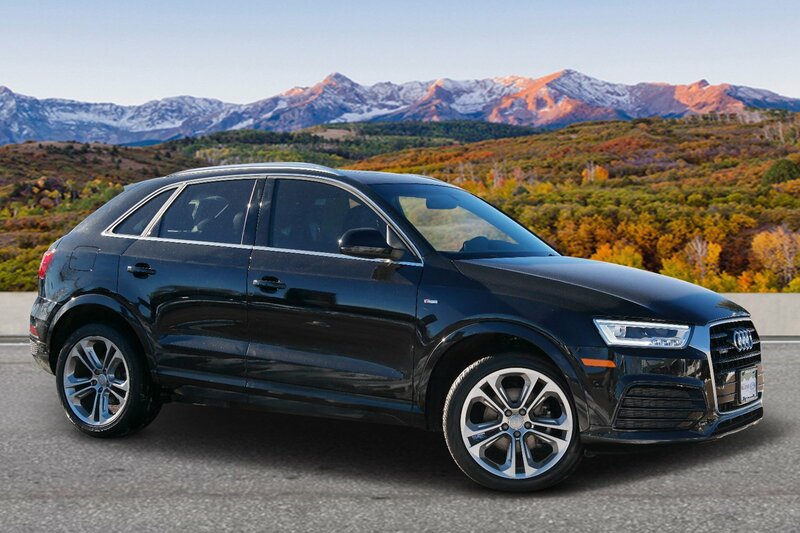 the Q3's soft suspension delivers a smooth, quiet and fuss-free experience on the highway.. Great Gas Mileage: 28 MPG Hwy.BUY WITH CONFIDENCEAutoCheck One OwnerMORE ABOUT USPrices do not include sales tax, finance charges, costs of emission tests, other governmental fees, or taxes and transportation costs incurred after sale, to deliver the vehicle to the purchaser at the purchaser's request. Vehicle pricing is subject to change without notice based on current manufacturer rebates and incentives and current vehicle market value. Contact dealer for most current information. Vehicle availability is subject to prior sale and system update. Used vehicle price includesHorsepower calculations based on trim engine configuration. Fuel economy calculations based on original manufacturer data for trim engine configuration. Please confirm the accuracy of the included equipment by calling us prior to purchase.Offer is valid through 2019-04-25.